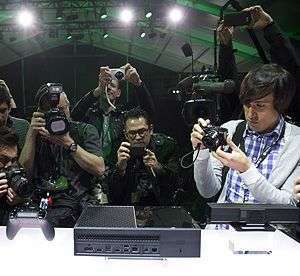 On the 21st of May, 2013, Microsoft announced a new console. Dubbed the Xbox One, it was the successor to one of the most popular consoles of all time, but its announcement was met with outrage. There wasn’t quite rioting in the streets, but the pages of the internet were ablaze with fury, all because Microsoft had dared to announce that their new console would launch with “Always Online” capabilities. Their reasons for doing so were many and well documented, but the main crux of the matter was that their new console would require a constant internet connection to function. The backlash was so strong that they eventually conceded the point, announcing that this was no longer case and when the Xbox One it launched in November, it did so without the requirement of an internet connection at all times. Other developers *cough* EA *cough* looked at this somewhat troubled announcement and promptly decided that the backlash wouldn’t affect them. Microsoft may have been scorned, but they would have no such issues. 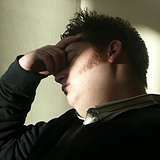 When they launched their “always on” games, like SimCity, the servers came crashing down and the games became effectively useless. Because they needed that connection even to play single player modes, they were essentially unplayable for large swathes of time following their launch. With Street Fighter V, Capcom looked at this carnage and decided that it wouldn’t happen to them. In introducing a new form of in-game currency, they also created a need for constant connectivity, and when the much-anticipated game finally launched it was, needless to say, a disaster. The servers came crashing down and, for more than a week after launch day, still unstable. Even playing some of the single player titles is risky business as you could, without any sort of warning, be kicked out of a match or mode and back to the title screen. The online modes were near-enough unplayable, leaving what should have been a triumphant launch of a new title a shambles. It’s a shame, because when you look past the problems, Street Fighter V is a damn fine fighting game at its core. I have always found the Street Fighter series to be something of a secret society. If you were privy to the secrets already, then you were welcomed, but if not… well there wasn’t really any point bothering. With this fifth numbered installment, Capcom have made an active effort to address the secret-society feel by tweaking the system to make it easier and more rewarding to pull off moves and combos. They’ve made more allowances for clumsy or slow inputs, the sort that previous versions might have ignored, and each move that connects now does a satisfying chunk of damage. A well-executed combo can now do north of half a health bar, and would only be tricky to pull off instead of completely impossible. Small though these adjustments sound, they’ve combined to make a far more deliberate and punishing style of game, where every mistake you make is brutally exposed but finding a chink in the opponent’s armour is incredibly rewarding. 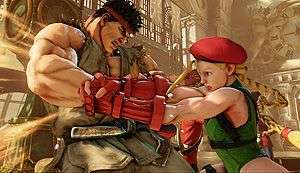 There is now a razor thin balance between aggression and defense, and Street Fighter V is a stronger experience because of it. Even matches against the generally uninspired AI can leave you sweaty and shaking in the knowledge that at any time you’re only a few mistakes away from losing a match. This is further compounded by the addition of V-Skills, mechanics that are unique to each of the sixteen characters and that, used correctly, make each feel fresh and completely like any of the others. In the case of series mainstay Ryu, this lets him parry away enemy attacks, leaving him with a larger window to counterattack. For newcomer F.A.N.G it’s a ball of poison flung across the screen, needing only to touch the rival player to start draining away their life. For the long-absent but now returning fighter, Birdie, he has a snack and uses the remnant to leave a trap. Every character is defined in part by their V-Skill, and if they use it enough (or take enough damage) they gain access to another unique weapon in their repertoire: the V-Trigger. Like V-Skills, each character has a different V-Trigger, and effects range from damage increases to teleports. Combined with higher damage output and simpler execution, these system changes make for a simultaneously deliberate and fast-paced fight. Each bout may contain a few stretches of inactivity, but they are inevitably punctuated by periods of flailing aggression and panicked mistakes. In short, playing Street Fighter V actually feels brilliant. Unfortunately, owning it doesn’t quite give the same warm glow of pleasure. Offline content is lacklustre to say the least and, if you were to be harsh, lacking full stop. The grandly named Story Mode is a collection of voiceovers punctuated by a handful of single-round battles that takes the place of a traditional arcade mode. The only other option for single player content is Survival mode, where you battle through countless fights for the dubious reward of extra colours for your character of choice. Mostly though, it’s just a dreary grind through braindead AI that can barely move, let alone put up much of a challenge. A few matches before the end, they finally make you work, but getting there is more effort than it’s worth. You don’t even have the option to fight proper battles against the computer – there is a Versus mode, but it’s for local multiplayer early. Most irksome is the greyed-out options on the main menu – Capcom have promised a more significant Story Mode in a later update, along with challenges to complete and, gulp, a store through which to purchase the steady stream of new characters already announced. Have no fear however – these characters are free, as long as you pony up the “Fight Money” in game currency, which you earn from completing Story Modes, Survival bouts and online Ranked matches. Or you would be able too, if the servers stayed up long enough to log the money that you’ve earned. It’s hard to escape the feeling that Street Fighter V isn’t quite finished. There’s a lot of esoteric promises about further content in the future, but when you’re buying a full-priced game it’s not unreasonable to expect a finished product, especially when the servers make it difficult to play online. If the launch had been smooth and problem-free, the content issues may well have been smoothed over, but while staring at a loading screen and impatiently waiting for something to change, something else to do would have been nice. Things are settling now down. 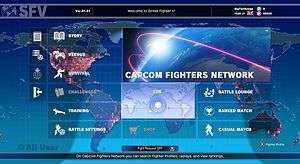 The servers seem to be more steady, though there are still problems here and there, and Capcom have been very direct in addressing the problems. There is a sense that they really want to do right by Street Fighter V, which makes it all the more puzzling that the game was released in such a weirdly unfinished state. The voracity with which the competitive scene has leaped upon it makes their decision more understandable, but a title being popular in tournament doesn’t make a stinging lack of things to do as a single player any easier to bear. It’s a real shame, because when it’s right, it’s right. I just wish it was released finished. Over the past few weeks there have been a couple of occasions where I’ve been unceremoniously booted to the home screen of the Xbox One mid-game with a message asking if I own the content (on a digital download game) and to insert the disk if there is one (which clearly there isn’t). I have my ‘home’ console but then another upstairs for lazy bed-gaming and Netflix binging. It seems that a flicker of service failure or those irritating moments when the ISP decides to take away it’s service for 5-10mins still results in instant punishment for those making the move to digital. I’m not sure if it’s because I’m not on my main console or just overly paranoid protection of digital content but they could at least put a small notification and stop me being booted out of the game for an hour or so to wrap up whatever I’m doing.